Bangladesh Field Team reflects on the successful impacts F2F has had on the Bangladesh Association for Social Advancement (BASA). Pollen production can be an excellent opportunity for the beekeepers of Bangladesh to maximize profitability and obtain sustainability, however, given the lack of knowledge and skills to produce high-value bee-products including, high-quality honey, the potential benefit of beekeeping as a business has not realized. 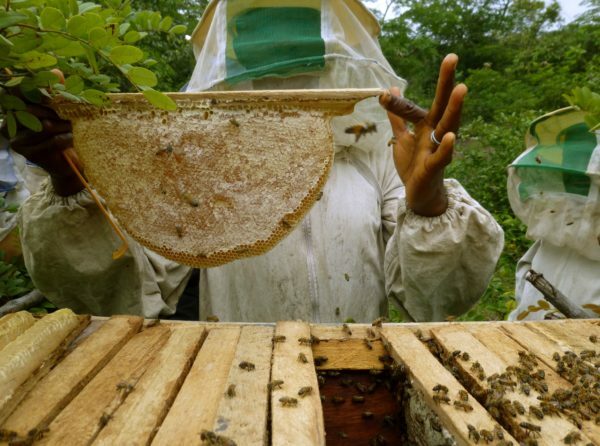 Currently, Bangladeshi beekeepers are extracting only honey and wax from their beehives, whereas they can easily collect other high-value bee-products, like pollen. Pollen is an important high-value bee-product for its nutritional and medicinal benefit to human health and more importantly, for its use as nutritious bee feed. Bees feed on honey and pollen during the flowering seasons of nectar-bearing plants, usually eight months out of the year in Bangladesh. The beekeepers suffer high costs to feed their bees in the flowering offseason. In that period, they use sugar syrup and pollen substitute, which do not provide good nourishment for their bees. As a result, the beekeepers lose a significant number of bees, ultimately affecting their honey production and profitability. When the bees collect nectar from flowers, they bring along pollen trapped on their legs which they use inside the hives to make their food. Pollen can be collected easily using traps at the entrance of beehives. Collection of these pollen grains using a pollen trap can help the beekeepers gain additional benefits from beekeeping which will lead to better sustainability for their business. 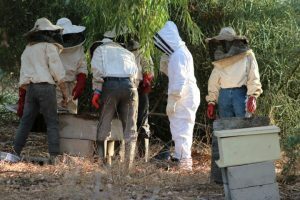 Beekeepers can use a portion of the collected pollen to feed the bees in the offseason and sell the rest to earn additional income. 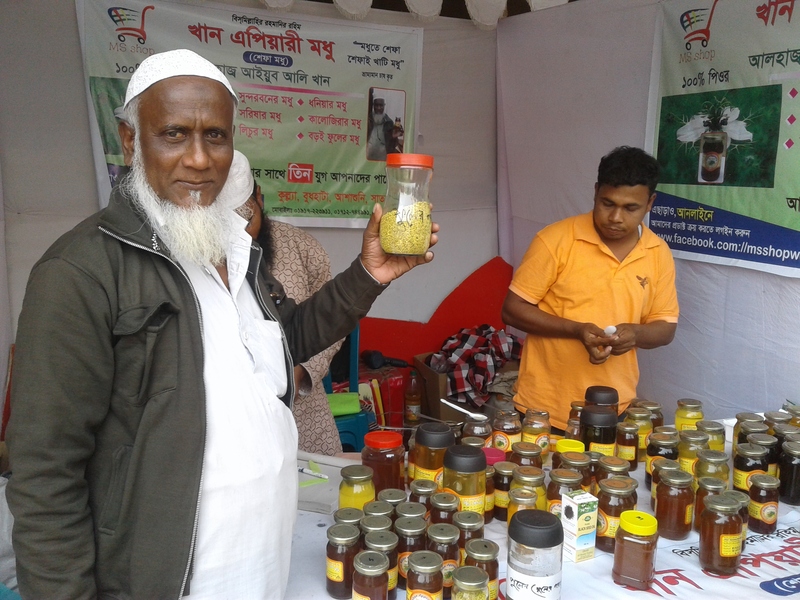 Having worked a long time to improve beekeeping and organize beekeepers in order to develop a strong apiary industry, the NGO, Bangladesh Association for Social Advancement (BASA), realized the potential of collecting and processing pollen to help strengthen beekeeping as a profitable business. As part of this initiative, and with the funding support of Palli Karma-Sahayak Foundation (PKSF), BASA worked with the Farmer-to-Farmer (F2F) volunteer, Michael Embrey, to train 64 BASA staff and their beneficiary beekeepers on the potential, collection and processing of pollen, making pollen traps, and the different uses of pollen. 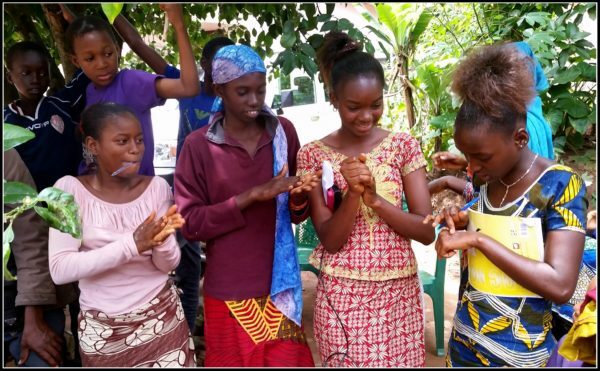 The volunteer brought three different types of pollen trap as samples from the US for demonstration and helped design and build pollen traps applicable for local beehives utilizing local materials and expertise. 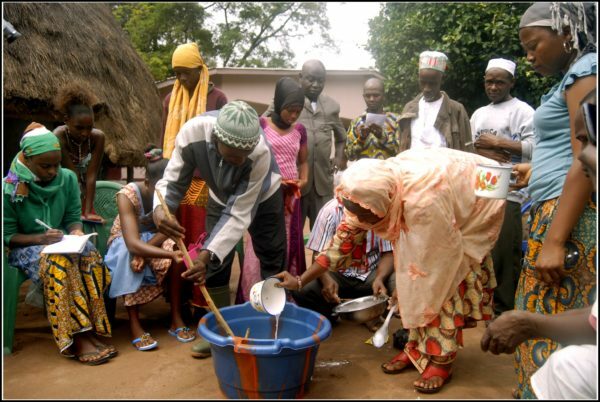 During the training, the volunteer demonstrated how to collect pollen using a locally made trap and how to process the collected pollen. 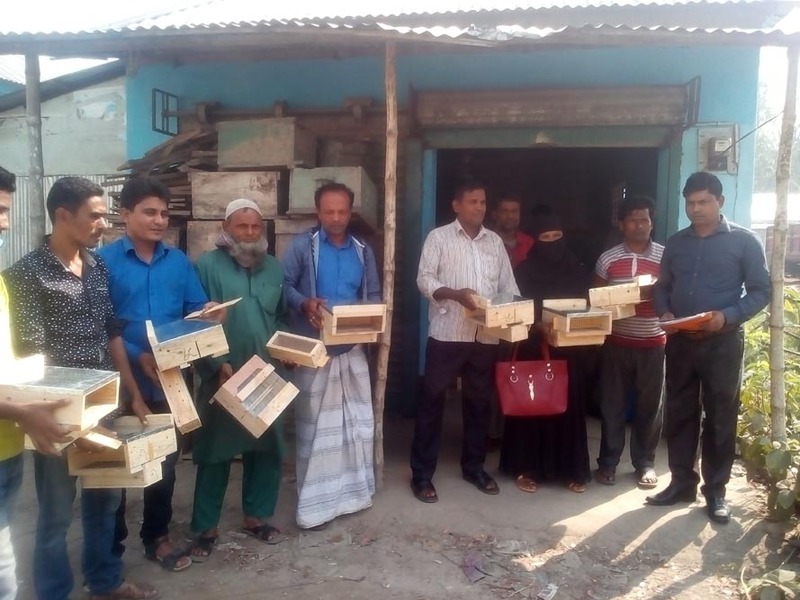 In addition, the volunteer conducted training on the improved beekeeping, marketing and partnership development for enhancing beekeeping in Bangladesh. According to Mr. Rezaul Karim, Value Chain Facilitator, BASA, the beekeepers who observed or heard about this success are very excited to install pollen traps in their beehives to collect pollen. 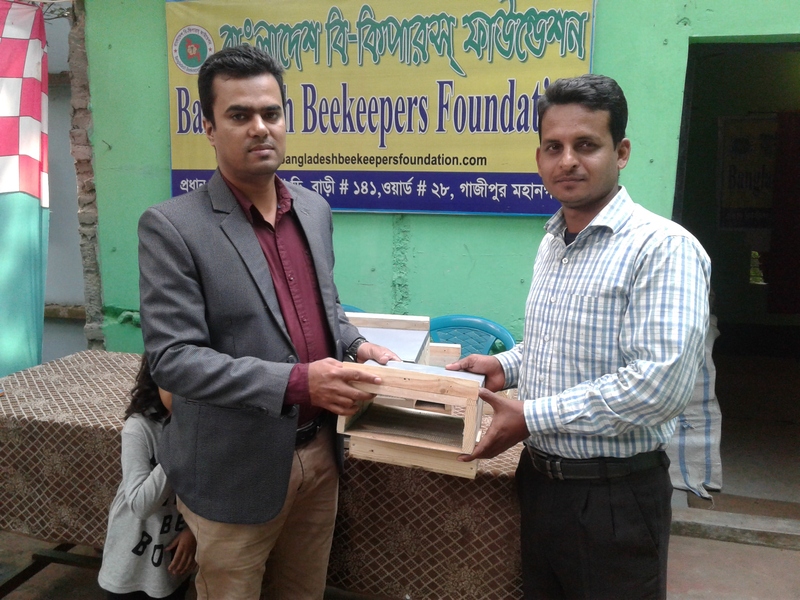 BASA is planning to disseminate F2F volunteer techniques of pollen production to their 314 beneficiary beekeepers with special emphasis on young men and women in collaboration with PKSF, two other beekeepers welfare associations: Bangladesh Beekeepers Foundation and Mouchashi Kallyan Samities. 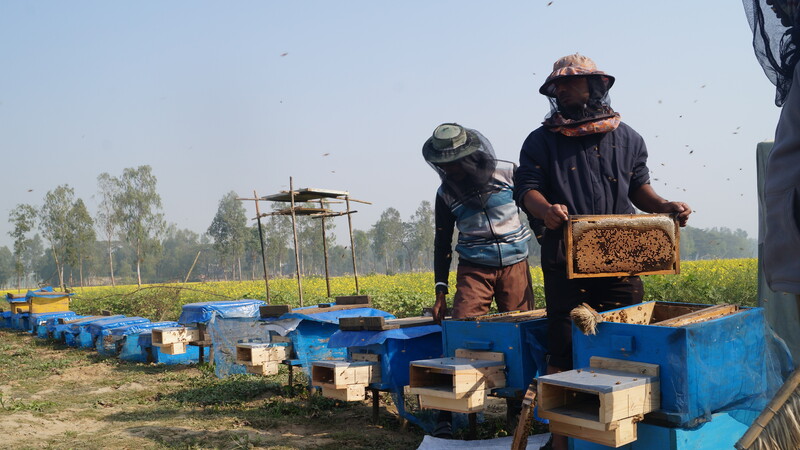 Meanwhile, the Government of Bangladesh has emphasized to the Department of Agriculture Extension the desire to introduce beekeeping all over the country in order to increase oilseed production through bee pollination, as well as increase honey production to help increase food security. 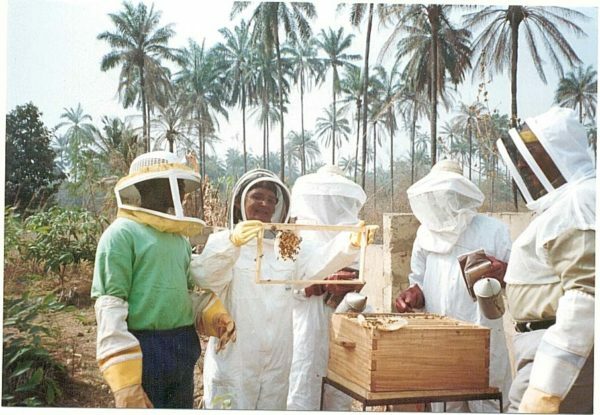 In this current context, the noble initiative of BASA is expected to expand beekeeping as a profitable and sustainable business and help create entrepreneurial opportunities for young, unemployed, rural men and women. Our May volunteer of the month is apiculture expert Ed Levi, who has volunteered with Winrock’s Farmer-to-Farmer (F2F) program since 1995. Twenty years and 10 countries later, Ed continues to show his dedication to helping those in need around the world. 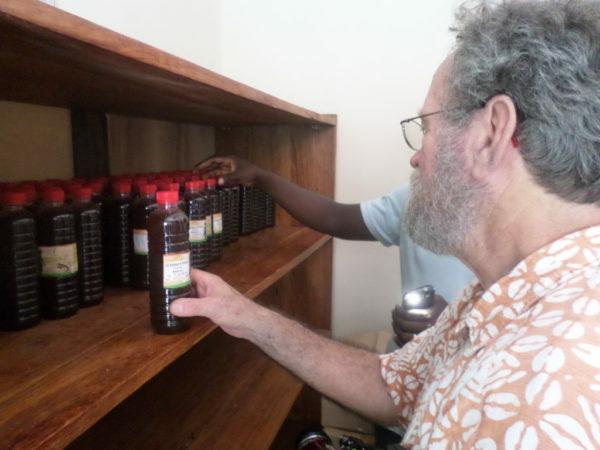 Over the years, Ed has introduced improved beekeeping technologies and techniques to farmers in Bangladesh, India, Nepal, Ethiopia, and Guinea; provided training on honey processing and marketing in Tajikistan, Uzbekistan, and Kazakhstan; and demonstrated ways to produce new products from hive by-products in Nigeria, in addition to numerous other volunteer assignments. Ed is sure that he gains just as much from each assignment as his beneficiaries do. “It has been fun learning how to adapt to different challenges. Even though I am going over there to teach, I always learn,” he asserts. In his 20 years of volunteer service with Winrock and Farmer-to-Farmer, Ed has directly assisted over 1,400 individuals. Not many people can say they have done that! 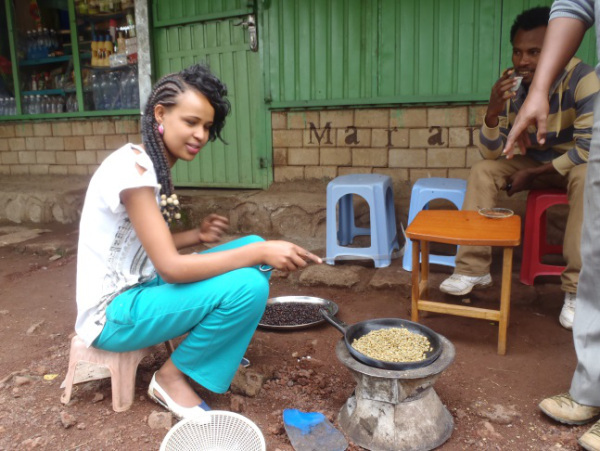 Ethiopia, and specifically the Kaffe district in the SW, is the genetic home to Coffea arabica colloquially known, at home, as a “cuppa joe”. I learned a bit about beekeeping (local bees are VERY aggressive), a little about coffee and saw some incredible scenery. It’s the rainy season now and, other than lots of mud, no problem at all – except there are few flowers and honey stores are low; both of which increase the aggressive nature of the bees. I brought a full bee suit but nobody here had one and nobody would, or let me, open a beehive. Regardless I got stung twice, much to the amusement of the flock of kids that accompanied us to the apiary, once on the end of the nose (instant sinus decongestion) and another atop the head. I gave five lecture/seminars while in Bonga, based on my observations on their weak points or, on what they mentioned the day before they’d like to learn more about. I had 47 participants (4 women 43 men). The local “forest coffee” is picked wild in the surrounding forest off of trees; yes, I too was surprised, but they grow 4-5 meters tall (12-15 feet for you non-metrics). It is sun dried; then the pulp washed off leaving “green” beans which store longer than roasted. The coffee is roasted as demand warrants; culture dictates three demitasse-sized cups should be taken – believe me each one is the caffeine equivalent of a triple espresso. [Later], as we meandered along the well-paved road SW to Jimma and Bonga, Endeshaw, my excellent colleague and translator was able to answer every question I had (and I was full of them).“What are they selling?”, I asked as we passed young boys along the road holding the arms apart as if to indicate, “I caught a fish this big!” “Charcoal”, Endeshaw replied, I guess just the gesture was better than holding up a bunch of carbonized sticks. Almost everybody (91 million people) cooks on wood! 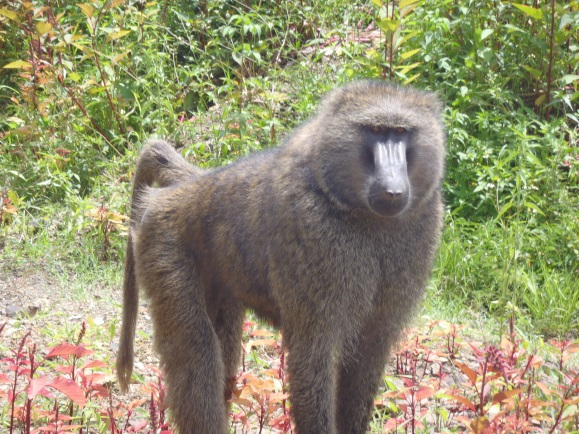 We did see wildlife– some roadside Olive baboons (Papio anubus – named after the Egyptian god Anubis) who looked like furry gangsters, some beautiful white-tail and mane colobus monkeys (Colobus guereza) who seem to be well adapted to disturbed environments, and the real scary looking hyenas (Crocuta crocuta). Evidently they are not commonly seen in daylight hours as it was the first time any of the 3 locals with me had seen them during daylight. They quickly scattered back into the bushes when we stopped for photos. 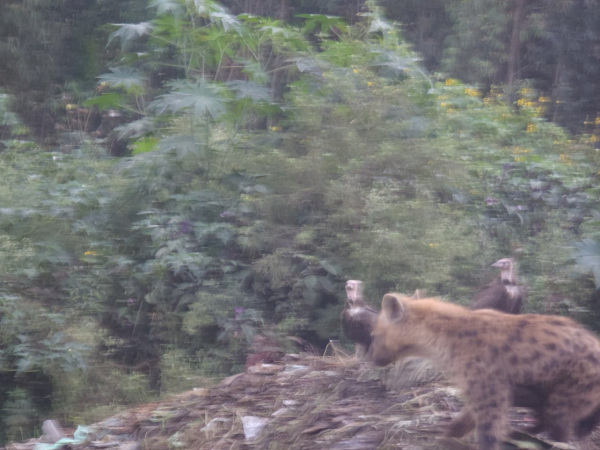 In Ethiopia, with about a 2.5% population growth annually, there is tremendous pressure on the remaining virgin forests (I had a mental picture of Ethiopia as a marginal desert environment – wrong!) through clearing for agriculture, charcoal production and logging – in about that order. I have a mantra I picked up in Cambodia: “No forest no bees (a concept, which everybody seems to grasp)” but the corollary “No bees no forest” is a bit more difficult to swallow (even educated Westerners struggle with the concept of bees beneficiating the environment). 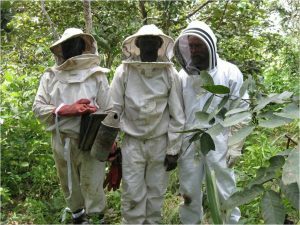 Bees, being a keystone species, are vital to the health of the forest; Ethiopia claims to have on the order of 5.15 million colonies wild and “managed,” and over one million households have bees. Fellow Farmer-to-Farmer volunteer Jerry and I went out to a cultural restaurant for his last night here and shared a bottle of tej [local honey wine]. My souvenir tej is coming home in a recycled water bottle- if it makes it in the luggage. Also on the souvenir list is 2 kg of local honey (finely crystallized), some beeswax, 2 kg of forest coffee and a cool knit cap for my granddaughter.